Food labelling is a hot topic, so today we’re publishing an extract from the first book of our food blogging partner Zoe Williams over at The Allergy Kitchen. 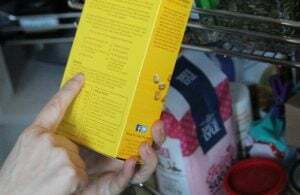 According to EU law, food allergens have to be labelled in a clear and consistent way whenever they are used as in ingredient in pre-packaged foods. This law came into effect in December 2014 and makes it much easier to make safe food choices. These regulations are set to stay in place after Brexit. These regulations do not apply to food that is prepared and packed on site, such as independent or in-store bakeries, delicatessens, butchers, fishmongers etc. It also doesn’t apply to pre-packed sandwiches, salad etc in cafés, if they are prepared on the premises. The seller must still have the information available if you ask for it, but it doesn’t have to be printed on the packaging. This is designed to help small businesses, but also applies to larger companies. cereals containing gluten (namely wheat (such as spelt, Khorasan wheat/Kamut), rye, barley, oats, or their hybridised strains). Manufacturers are still allowed to put additional, voluntary information separately. For example, if the food is produced in a factory that uses any of the top 14 allergens as ingredients in other foods, there is a small risk that tiny amounts of the allergens could get into the food. This is known as cross-contact or cross-contamination. These types of foods are often referred to as ‘may contains’. When you are starting out, go shopping by yourself. The first time you go shopping it will take you a lot longer as you will need to read every food label thoroughly. This is much more stressful if you also have a small person getting bored and demanding your attention.When you are food shopping, allow extra time to read these labels. Check labels of everything you buy, every time, even if your child has eaten it safely before. Manufacturers change their recipes from time to time, and they don’t always mark this on the front of the packaging. Some great apps are available to help when food shopping, such as Libereat. You can set up a profile with your child’s allergies. As you shop, scan product barcodes with your phone and the app will tell you if they are safe or not. Online shopping is brilliant. You can often get a much bigger range of products than you can find in your local supermarket. You can also take your time reading ingredients, and choose when you want to do it – perhaps when your little one is asleep so you can concentrate. Most online supermarkets will allow you to build up a list of ‘favourites’ so that you can just shop from products that you know are safe. Getting to grips with a food allergy can feel overwhelming at first. Give yourself extra time for food shopping in the first few weeks. Experiment with new foods and find out what your child likes and dislikes. Soon you will find new regular items and favourites and you won’t need to give it as much thought. There are new products coming onto the market all the time and the choice is better than ever for people with food allergies. Always check ingredients carefully when buying food. Common allergens must be highlighted in ingredients labels on pre-packed food. Food prepared on-site doesn’t have to be labelled – you will have to ask for information. Zoe T. Williams is passionate about supporting families with food allergies, having two daughters and a husband with multiple food allergies and intolerances. 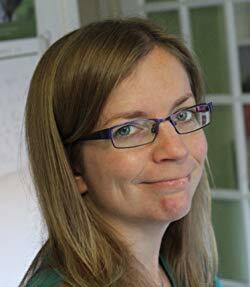 Right now, she is busy in the kitchen concocting new allergy-friendly recipes for her blog, My Allergy Kitchen. Her book, The Busy Parent’s Guide to Food Allergies is out now on Amazon and takes allergy parents from overwhelmed to empowered in easy bite-size chapters. 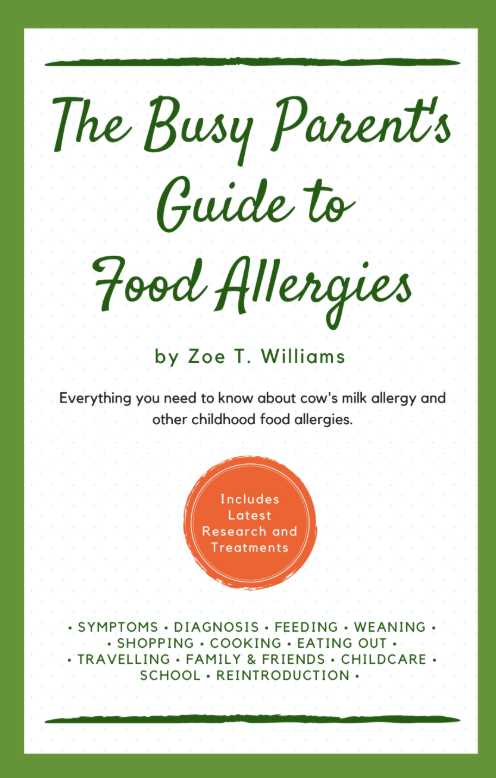 Download a free sample chapter of The Busy Parent’s Guide to Food Allergies. This entry was posted in Food labelling and tagged allergens, allergies, The Busy Parent's Guide to Food Allergies, Zoe T Williams. Bookmark the permalink.